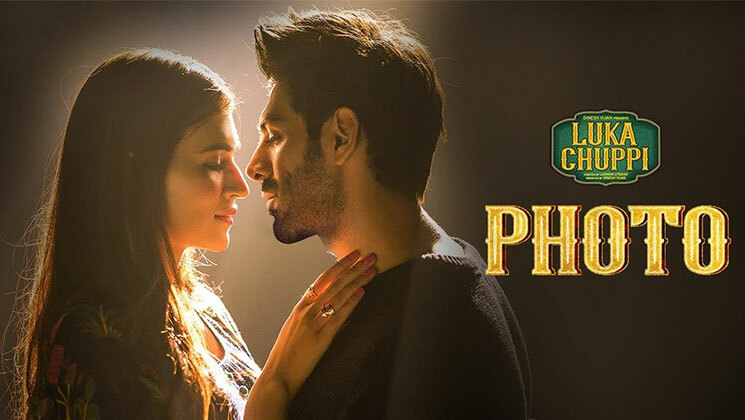 Bollywood actors Kartik Aaryan and Kriti Sanon have finally dropped yet another song titled ‘Photo’ from their upcoming film ‘Luka Chuppi’. The romantic comedy ‘Luka Chuppi’ is being directed by Laxman Utekar. The story of ‘Luka Chuppi’ revolves around a television reporter who falls in love with a headstrong woman. ‘The lyrics of the song ‘Photo’ is written by Nirmaan and crooned by Karan Sehmbi. Apart from Kartik Aaryan and Kriti Sanon, the film ‘Luka Chuppi’ also stars Aparshakti Khurana in a vital role. Prior to this ‘Photo’ song, the makers have already dropped two songs titled ‘Poster Lagwa Do’ and Coca Cola’ and have been applauded by the audience. Kartik and Kriti’s first collaboration is scheduled to hit the theatres on March 1 and it is likely to clash with Sushant Singh Rajput and Bhumi Pednekar‘s ‘Sonchiriya’. On the professional front, Kartik will also be seen sharing the screen space with Ananya Panday and Bhumi Pednekar in ‘Pati Patni Aur Woh’. The film is an official adaptation of the 1978 drama with the same title and is being co-produced by Bhushan Kumar. Kriti, on the other hand, has multiple projects lined up in her kitty. She will be starring in Ashutosh Gowariker’s ‘Panipat’ alongside Arjun Kapoor and Sanjay Dutt. She will also be seen in Rohit Jugraj Chauhan’s ‘Arjun Patiala’.